The 2019 convention of the National Federation of the Blind will take place July 7 to July 12, at the Mandalay Bay Resort and Casino, 3950 South Las Vegas Blvd, Las Vegas, Nevada 89119. 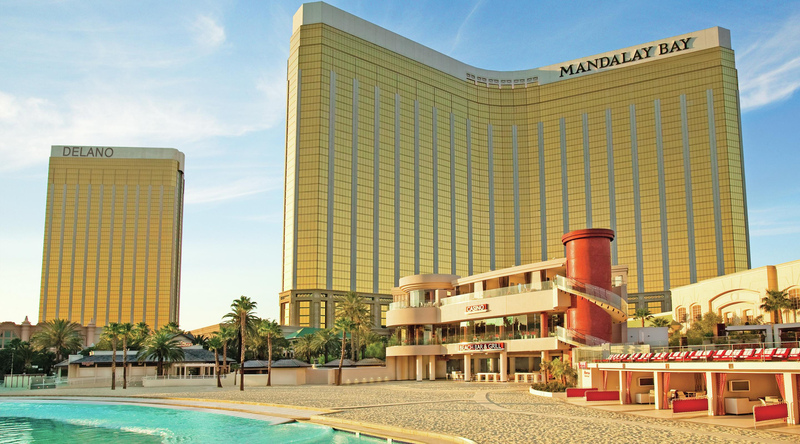 Make your room reservation as soon as possible with the Mandalay Bay Resort staff only. Call 877-632-9001. The 2019 room rate of $99 per night applies to singles and doubles as well as triples and quads. Hotel and sales taxes are 13.38 percent and 8.25 percent, respectively. The resort fee (normally $37 a night) will be waived for NFB convention attendees. However, fees for internet access, local and toll-free calls, and fitness center access may apply. The hotel will take a deposit of the first night’s room rate for each room and will require a credit card or a personal check. If you use a credit card, the deposit will be charged against your card immediately. If a reservation is cancelled before Friday, June 1, 2019, half of the deposit will be returned. Otherwise refunds will not be made. Rooms will be available on a first-come, first-served basis. Reservations may be made before June 1, 2019, assuming that rooms are still available. After that time the hotel will not hold our room block for the convention. In other words, you should get your reservation in soon. Among its features is an aquatic playground called Mandalay Bay Beach which has real sand, a wave pool, and a lazy river. The hotel is also home to an aquarium with more than 2,000 animals including sharks, green sea turtles, and a Komodo dragon. Plus, it offers top-notch entertainment including Michael Jackson ONE by Cirque du Soleil.